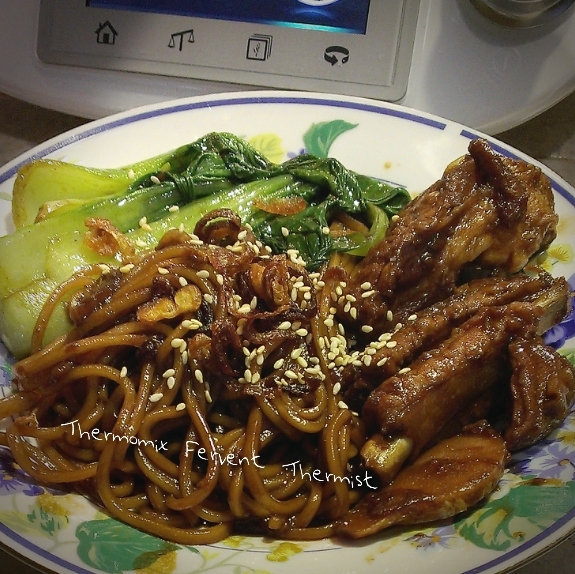 Spicy Braised Ribs Noodles, easy pitsy lunch you can make even in your office pantry! No smoke, no oil! 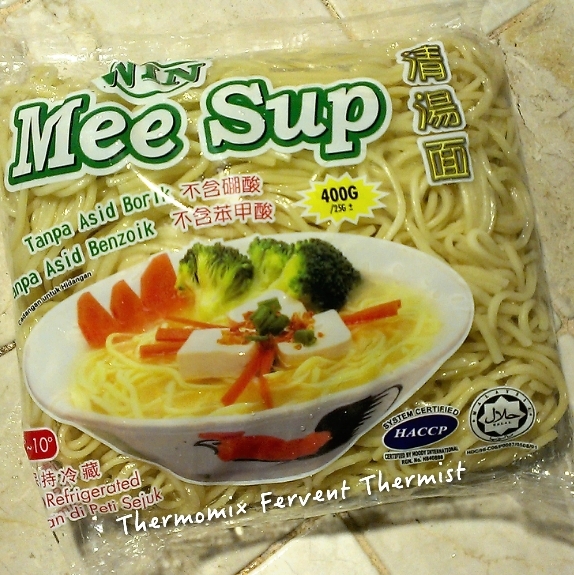 It was originally without chillies, after first attempt on meehoon, second attempt on yellow mee (we didn't really like yellow mee, just don't like the smell) then 3rd attempt on yellow mee again with dried chillies, and felt that this is better with chillies. Also did some adjustment on taste to be a little salty by adding in homemade Chicken Stocks, I love add this in dishes, makes magic on the taste of the food. 300g Pork Ribs, roughly one strip of rib chopped into smaller pieces. 3 pcs Dried Chillies, rinsed and deseeded. *Advisable duration to thicken the sauce as well as better taste to the meat. Finally photos are ready for recipe template, only distribute to my customers.